Our boutique cruises on the Irrawaddy and Chindwin Rivers will unveil you the Myanmar cultural heritage, the ex Royal capitals, the lifestyle and traditions of the people living along their banks. Ayravata Cruises was founded in the 2003 by three Myanmar entrepreneurs with the support and management of a European expert in cruises on Asian rivers. Thanks to the vast experience of the founders in the Myanmar hospitality and tourism business coupled by the expertise of the foreign executive director, Ayravata Cruises is not just a successful cruise operator but a shipbuilder as well. 2 Night Cruise sailing from Mandalay to Bagan aboard Paukan 2007. 1 Night Cruise sailing from Sagaing to Bagan aboard Paukan 2007. 2 Night Cruise sailing from Bagagn to Mandalay aboard Paukan 2007. 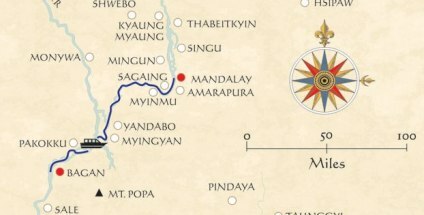 7 Night Cruise sailing from Mandalay to Bhamo aboard Paukan 2015. 10 Night Cruise sailing from Bagan to Mandalay aboard Paukan 2012. 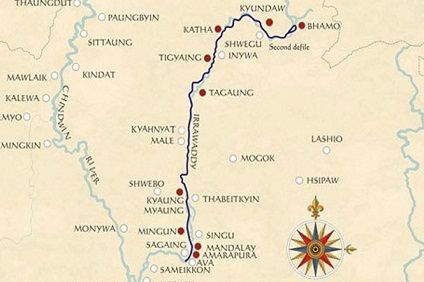 9 Night Cruise sailing from Mandalay to Prome aboard Paukan 2014. 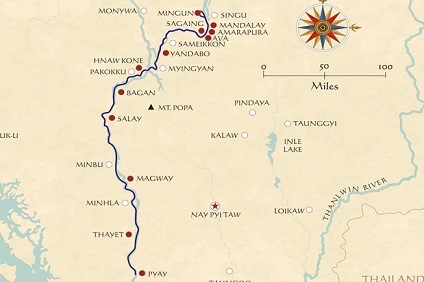 6 Night Cruise sailing from Mandalay to Salay aboard Paukan 2014. 7 Night Cruise sailing from Bhamo to Mandalay aboard Paukan 2015. 3 Night Cruise sailing from Salay to Prome aboard Paukan 2014. 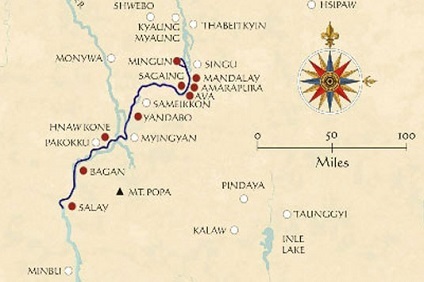 7 Night Cruise sailing from Mandalay to Bagan aboard Paukan 2012. 9 Night Cruise sailing from Prome to Mandalay aboard Paukan 2014. 3 Night Cruise sailing from Prome to Salay aboard Paukan 2014. 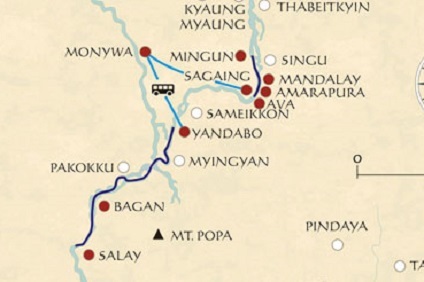 3 Night Cruise sailing from Sagaing to Salay aboard Paukan 2012. 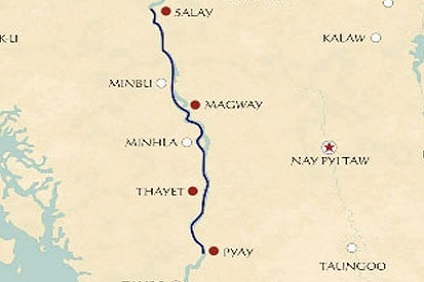 6 Night Cruise sailing from Salay to Mandalay aboard Paukan 2014. 7 Night Cruise sailing from Bagan to Mandalay aboard Paukan 2012. 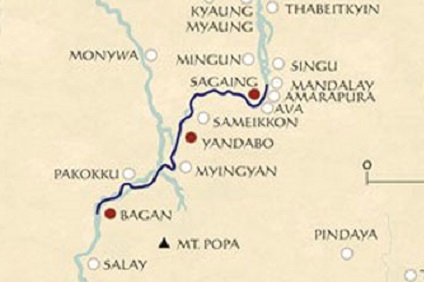 3 Night Cruise sailing from Bagan to Sagaing aboard Paukan 2012. 2 Night Cruise sailing from Bagagn to Mandalay aboard Paukan 2012. 1 Night Cruise sailing from Sagaing to Bagan aboard Paukan 2012. 2 Night Cruise sailing from Mandalay to Bagan aboard Paukan 2012. 7 Night Cruise sailing from Mandalay to Bagan aboard Paukan 2007. There are numerous dishes which will satisfy any desire of the passengers and all of the dishes are made by expert chief of Myanmar. Paukan will give you everything you need for a greatest dinner, from barbecue, seafood and other options.